When you think about what makes WPI, well WPI, the usual things come to mind: the projects, the science, the collaboration, the goat. But one of the most important aspects for countless students has a certain musical ring to it. Weeks then shared an email he received from an incoming student from Hong Kong who, having not even visited campus, chose to attend WPI specifically because of its rigorous music program. According to Weeks, emails like this are a regular occurrence. 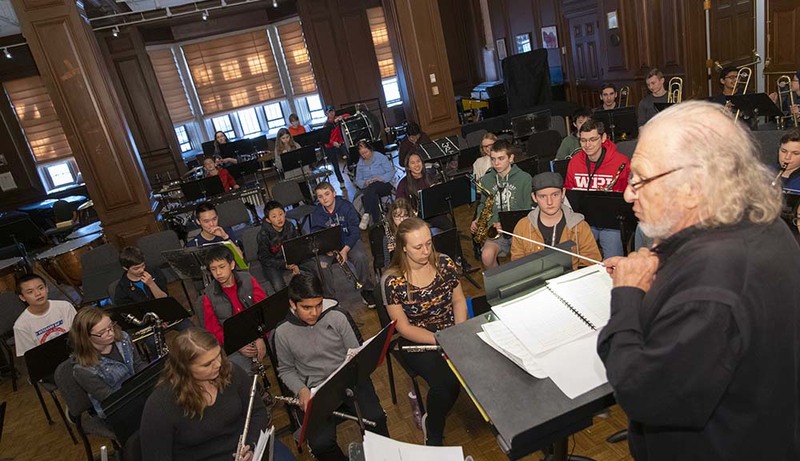 Prospective students aren’t the only ones whose interest is piqued by WPI’s music program—middle school teachers and students are as well, made evident by a recent visit to campus by Carlisle (Mass.) Middle School students. In March dozens of them had the chance to participate in workshops led by Weeks, director of choral activities Joshua Rohde, and current WPI students. While the Carlisle students might not have their sights set on college just yet, the knowledge and chance to interact with a school that still places an important emphasis on musical study and teaching is something Weeks believes will stick with them, and help WPI stand out like it’s done for countless students before them. After nearly 40 years, Weeks will be stepping down at the end of the academic year as head of the Concert Band, with a solid reputation as having had a major role in shaping the program into what it is today. 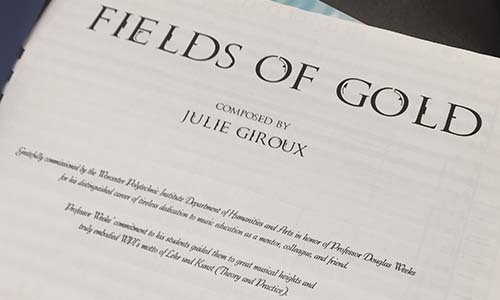 Such an accomplishment calls for a special celebration, and Samantha McGill ’09 knew the exact way to honor and thank Weeks for his decades of work and passion—a commissioned piece composed specifically for him by Julie Giroux, titled Fields of Gold. McGill, who was a member of several music groups during her undergraduate years at WPI (and one of the students who chose WPI in particular for its robust music program), will be taking over as Concert Band director after 10 years in the role of assistant director. She worked with Humanities & Arts department head Kris Boudreau to commission the piece, which was first presented to Weeks back in February. 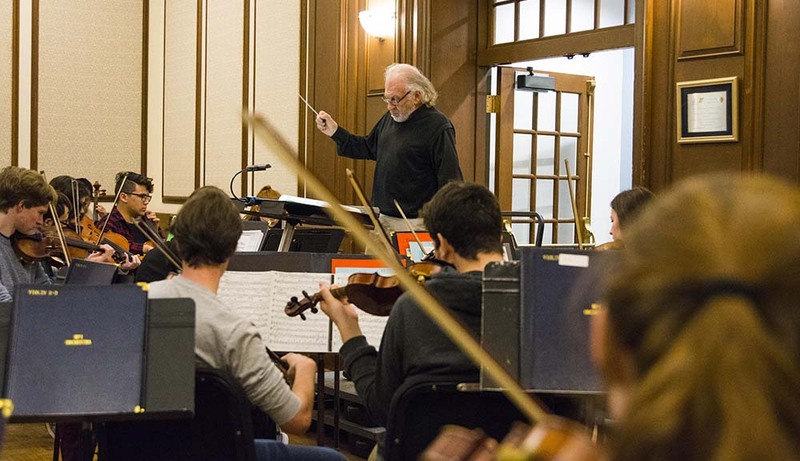 But instead of focusing on the honor for him, Weeks’s excitement was more about how the piece was written specifically for the WPI Concert Band to perform. Though it has already been presented, Weeks will have the opportunity to conduct the band's performance of it at the spring concert on Sunday, April 7, at 3pm. When asked what he’d miss most about being Concert Band director, Weeks doesn’t hesitate before sharing his simple answer, summing up the core of what the music program is about at WPI: the students and their enthusiasm.